Paper Submission: Authors are invited to submit an unpublished original work that must not have been submitted to an other conference, workshop or journal. All papers will be peer-reviewed by members of the Program Committee and be evaluated for originality, significance of the contribution, technical correctness and presentation. Submitted research track and application track manuscripts will be limited to 8 pages and REQUIRED to be formatted using the paper template in WORD. The submitted papers can only be in the format of PDF or WORD. At least one author of each accepted paper is required to attend the conference and present the paper. Submissions should include paper title, abstract, name of authors, their affiliations, and emails addresses. The accepted papers will be published in International Journal of Languages, Literature and Linguistics (IJLLL, ISSN: 2382-6282, DOI: 10.18178/IJLLL), and will be included in Google Scholar, Crossref and Proquest. Please format your paper as per below paper template before you submit the paper. --Or submit your paper/abstract to iclla@iedrc.net. For Authors: you can publish the manuscript and deliver paper presentation on ICLLA 2019, orally or by poster presentation. 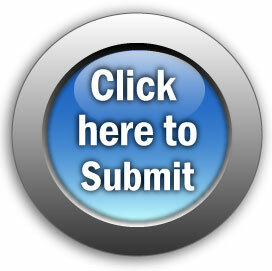 You must submit Full-length Manuscript for review before the submission deadline. For Presenter Only: you can deliver a presentation on ICLLA 2019, but the presented manuscript WILL NOT be published. Abstract is necessary to submit. For Listener: you can participate and attend all the presentation sessions only, neither making presentation nor having paper published.